Fresh off of spring break, most students are coming back to campus basking in the first signs of sunny skies and green grass. 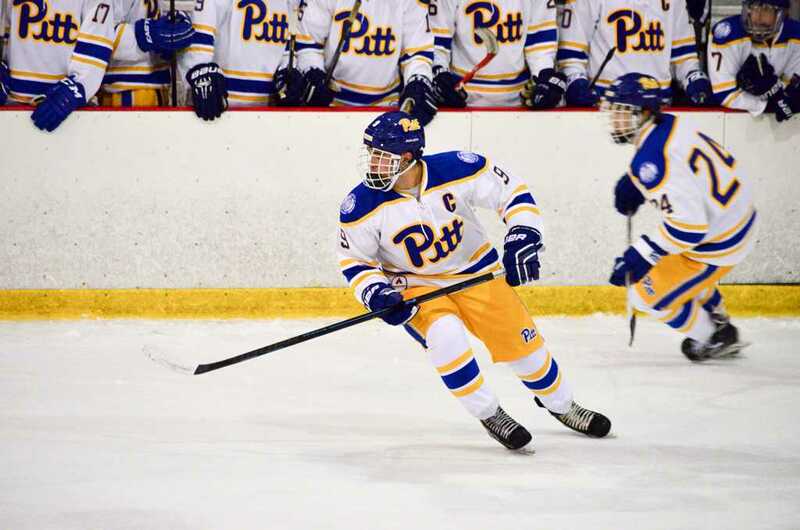 But the Pitt Division I Hockey club is still reminiscing about its historic win on the ice. The week after spring break marks the end of the season for the Panthers (17-13-2, 10-6-1 ACHA), who play in the American Collegiate Hockey Association. The team wrapped up its season on Feb. 21, with a 5-4 win over local rival Robert Morris. 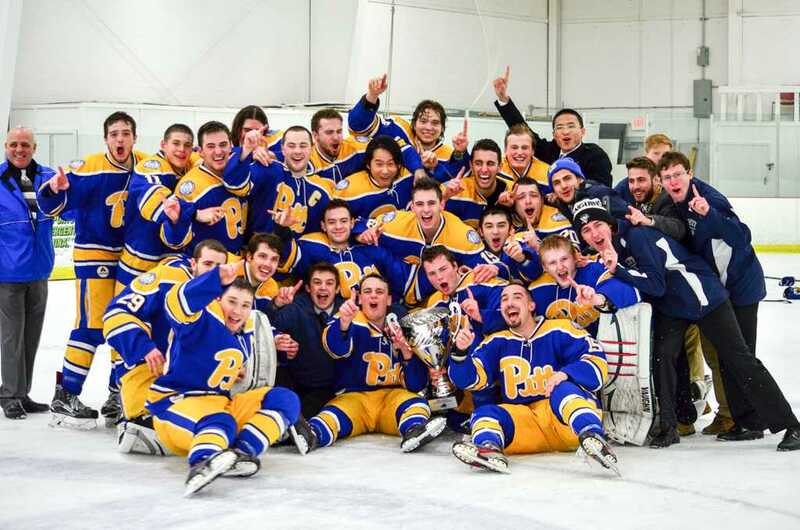 With the triumph, Pitt Hockey captured the first-ever College Hockey Mid-America tournament championship in the history of Pitt’s program, which started in this iteration in the ’90s. The potential behind a solid group of starters and young standouts boded well for Pitt at the onset of the season. But injuries and ailments derailed the team and decimated its forward and defensive corps. Unable to consistently play together, the Panthers didn’t have forward lines or defensive pairings that meshed until halfway through the season. They missed a bid to the national tournament and head coach Stu Rulnick found himself re-thinking his strategy. Rulnick relied on the veteran presence of his four senior co-captains to set new standards for the team past its midway point. The veterans — with the help of their teammates — did more than that. Cully said overcoming tough losses became a positive challenge as the season progressed. “Learning the lesson of working with four leaders, working with the coaches and younger players, I think just that experience alone speaks volumes for things you have to do later in life,” Cully said. 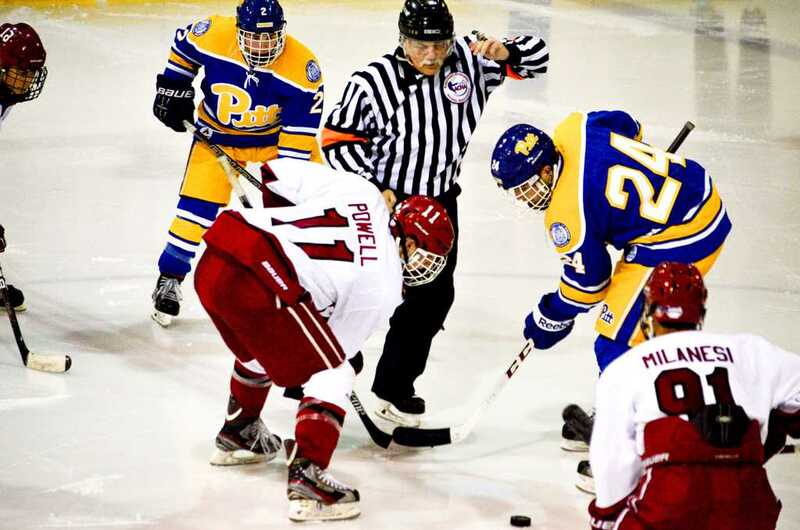 Besides his four veteran captains, Rulnick relied on players such as junior standout Bobby Tritschler for leadership and scoring. “I think it gave me an opportunity as coach, to see how the younger kids that came in would react to playing ACHA DI hockey,” Rulnick said. The natural center not only had a strong year statistically with 10 goals and 10 assists, but the CHMA also named him the MVP of the 2015-16 CHMA playoff tournament. Tritschler, who will return as a senior to the team next year, will become a mentor for younger players. He said he’s keeping some key issues and values in mind to pass on. For his dedication, the CHMA awarded Rulnik 2016 CHMA Coach of the Year — marking the second time he has received the honor in the past three years. “That was totally unexpected, and that’s voted on by our peers, all the coaches in the league, so that’s truly an honor,” Rulnick said. With a strong core of players returning next season, the hockey team will have another shot at a bid to the ACHA tournament. A successful head coach and quality players means the Panthers can look back on the end to a rollercoaster season, poised to chase success even further next year.